Indian Institute of Management Shillong. Rajiv Gandhi Indian Institute of Management Shillong invites ONLINE applications in the prescribed format available in the website of the Institute for the following Posts in the following Areas. 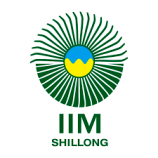 How to apply: Only interested persons who fulfil the minimum eligibility criteria may apply on the prescribed form downloaded from the Institute website www.iimshillong.in The duly filled in PDF form may be mailed to vacancy@iimshillong.ac.in on or before 31 May 2016. Printed Online form alongwith all self-attested copies of certificates and testimonials along with recent passport size photograph affixed should reach “The Director, RGIIM Shillong, Mayurbhanj Complex, Nongthymmai, Shillong – 793014, Meghalaya” on or before 10 June 2016. Last date of submission of Online forms is 31 May 2016.